Many food brands are heavily influenced by the changing of the seasons and the temperatures outside. Betty Crocker has certainly let summer take full rein — where else would the idea for Watermelon Cake and Frosting come from?! This all-new cupcake mix is exclusively available at Target. Target is my favorite place to go to for baking essentials. You can find so much more in their baking aisle than in any grocery store. Sprinkles and candies in all kinds of colors and shapes, and a huge assortment of different cake, cookie, and brownie mixes and frostings. 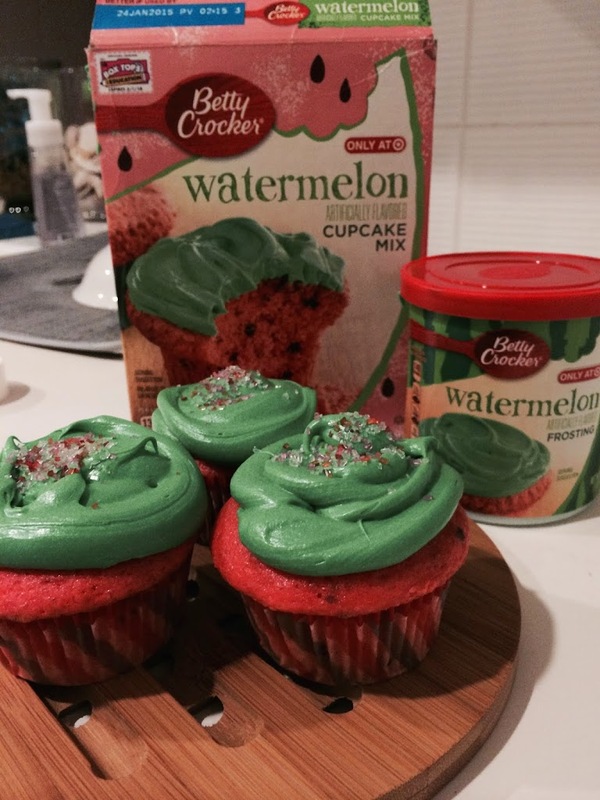 Make cupcakes or a cake perfect for summertime with this unique watermelon flavored baking mix. Top with the electrifyingly green watermelon frosting and you have a beautiful treat to bring to any BBQ or pool party you’re been invited to this summer. You can find great deals and savings here, including a couple for 50 cents off any 2 Betty Crocker Cake and Frosting products. 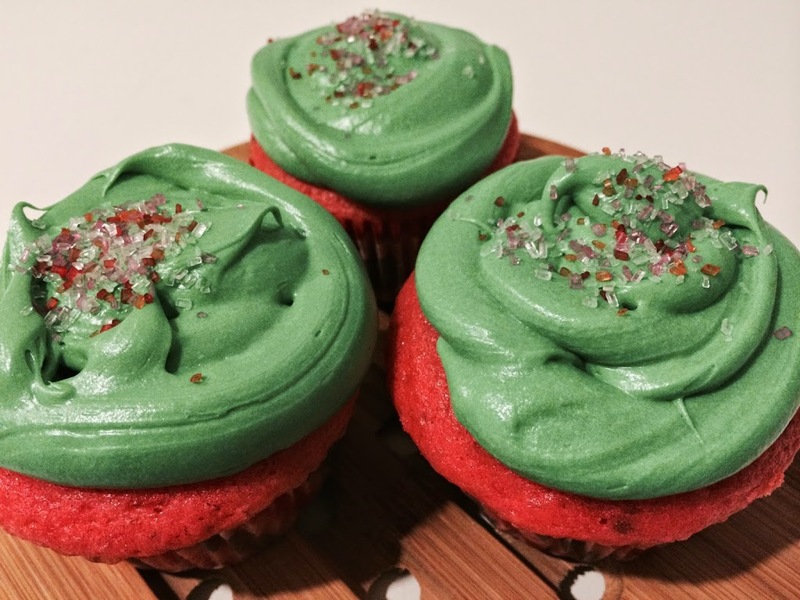 These cupcakes are a bright, beautiful shade of pink studded with mini chocolate chips meant to resemble watermelon seeds; the green frosting is bold and vibrant. To the eye, these are a work of art. To the mouth? Super sweet. If you like watermelon flavored candies and treats, then you’ll like this mix. I personally LOVE watermelon — the fruit. I don’t like that super-sweet watermelon flavor in other products, so these weren’t for me. The frosting is the ultimate in sweetness, so be prepared to experience quite the sugar high if you try this mix. That’s not to say you won’t like it. Because hey, some people dig that sweets-induced coma that some desserts can cause. But me? I’ll stick to a bowl of the real watermelon fruit. Thanks. Disclosure: This is a sponsored post. The information and prize pack have been provided by General Mills through Platefull Co-Op. I received one box of Betty Crocker Watermelon Cake mix, one container of Betty Crocker watermelon frosting and a Target gift card. As always, all opinions are my own.